International students for the most part believe that it is impossible for them to study abroad. Studying abroad can be expensive and this has been a deterrent to many international students wanting to study abroad. If I could share my personal experience, I use to be in the same shoes as those who believe that getting the opportunity to apply for a university abroad is only for the rich. Yes, the rich can afford to send their children to study abroad only because they can afford it, but they usually pay out of pocket. You, as an independent student, can secure a free scholarship to study abroad. However, there are several agencies that offer indigent students the opportunity to study abroad. Indigent students are those considered not necessarily poor but those that can demonstrate financial need. In most countries, the ministry of education or parastatals in charge of education have partnerships with agencies or other country to offer students the opportunity to study abroad on full scholarship. Some of these agencies can offer scholarships to study for a short period or for a longer duration. Most short study programs are classified as exchange scholarship programs. Exchange scholarships offer students the opportunity to experience another dimension to the same curriculum offered in their home country. The exchange programs are rich in knowledge most of which may not necessarily be academic. In addition, most universities offer research based scholarships for students to study and contribute to the research body of knowledge. These type of scholarships can be in form of studentships, Teaching Assistantships and/or Research Assistantship programs. All these provides international students an opportunity to be accepted to study abroad for free provided they have the experience required by those universities. A number of questions usually arise and mostly bother students that want to apply for a scholarship to study abroad.Study abroad means that you intent to study at a university or college in a country other than your home country. How do I demonstrate financial need to study abroad? Whenever you want to apply for some scholarships, there is always a requirement to ” demonstrate financial need” If you are apply from other countries other than your home country, it might be difficult to answer the question or prove that you need financial aid. Different institutions have different definitions of how to demonstrate financial need but there is a common understanding that your financial need is equal to the difference between the cost of the program and what your parents or guardians can contribute. It is not necessarily what is available to you. In most developed countries, you may need to provide information about your family income and monthly experiences. This can be used to determine how much assistance you will need to study abroad. To demonstrate financial need means to prove that you are the best person out of all the applicants that need financial assistant to enrol in the program. How do I find a scholarship to study abroad? To find a scholarship, you must be prepared to do some paper work. 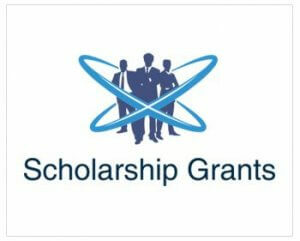 What does most Scholarships cover for those intending to study abroad? Most full scholarships will cover full tuition, living expenses, cost of books, medical expenses and more. However, some scholarships may cover only tuition or half tuition. Please pay close attention to the details to ensure that your study abroad is fully covered.